WikiLeaks source Chelsea Manning can legally have her name changed from Bradley, a District Court judge ruled Wednesday morning. 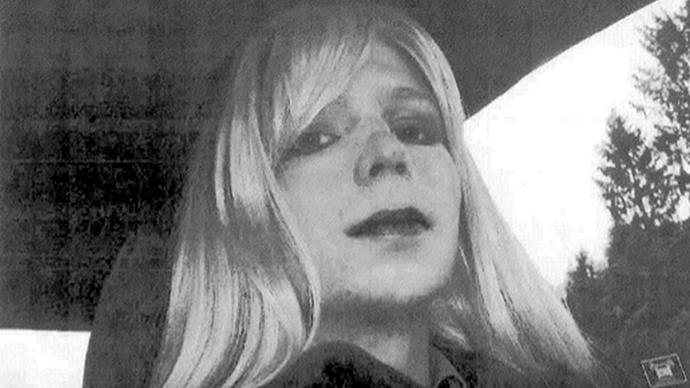 One day after being sentenced last summer to 35 years in prison as a result of her role with the anti-secrecy website WikiLeaks, Manning issued a statement through her attorney saying she wanted to be recognized as a woman. "I am Chelsea Manning. I am a female. Given the way that I feel, and have felt since childhood, I want to begin hormone therapy as soon as possible. I hope that you will support me in this transition,” lawyer David Coombs said in a statement from his client last August. During last summer’s trial, two Army behavior specialists said that they’ve diagnosed Manning with gender dysphoria, or gender identity disorder, which is traditionally grounds for discharge from the Army. 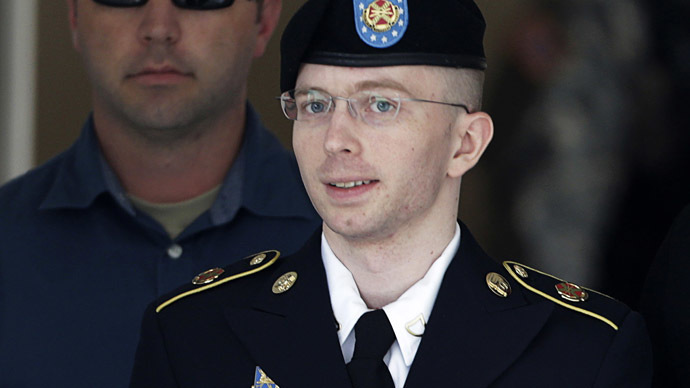 Military officials at the Ft. Leavenworth prison where Manning is being held said they would not provide the soldier with hormone treatment, however, attracting the ire of trans advocates and other activists. 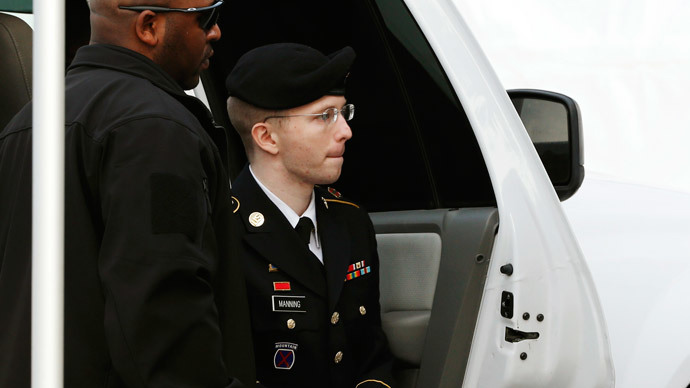 Last month, Coombs said he will “continue to assist Chelsea in matters related to her official name change and receiving hormone replacement therapy while in confinement.” Previously, Manning said she would sue the US Army if her requests were denied, and Coombs said he hoped the prison “will simply do the right thing.” A grievance with the US Disciplinary Barracks commander at Fort Leavenworth over the lack of a response has since been filed. In her statement issued through the Support Network on Wednesday, Manning said the latest hurdle to be jumped is far from the last. With the obstacle of identity documentation practically out of the way, next she said she will strive for placement in a gender-appropriate institution and access to applicable healthcare. “It’s the most banal things –such as showing an ID card, going to the bathroom and receiving trans-related healthcare –that in our current society keep us from having the means to live better, more productive, and safer lives. Unfortunately, there are many laws and procedures that often don’t consider trans* people, or even outright prevent them from doing the sort of simple day-to-day things that others take for granted,” Manning wrote. Wednesday’s decision is unrelated to Manning’s pursuit for hormone treatment or how she is handled and processed by prison officials, but will clear the path for her military papers to be revised in order to reflect her new name. 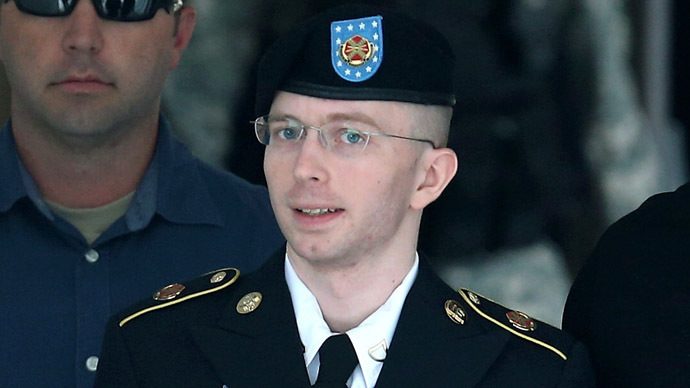 George Wright, an Army spokesman at the Pentagon, previously told the Associated Press that approval of Manning’s petition “will have no other effect on his current status other than the name in his records.” The Army has yet to cease referring to Manning by masculine pronouns. “Being recognized by the chosen name that reflects who you are is a matter of basic dignity for all transgender people, and this right must be respected,” added McNamara, who has been chosen to represent her friend at the upcoming San Francisco Lesbian Gay Bisexual Transgender Pride Celebration. Manning has been named an honorary grand marshal of the event. 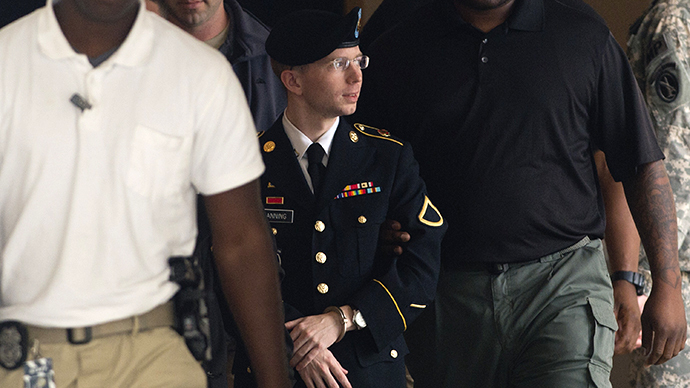 While serving in the Iraq War, Manning accessed and then shared with WikiLeaks a trove of sensitive US military and State Department documents. 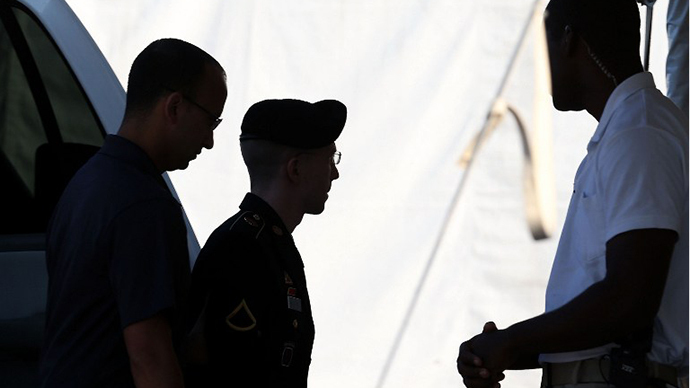 In July, Army Col. Denise Lind convicted the soldier on 20 counts, including espionage, theft and computer fraud.